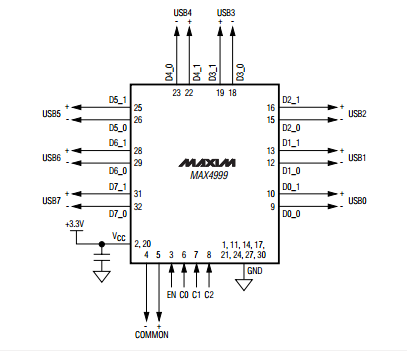 I am currently using a Model A with a USB hub, but only have two USB devices connected to the hub, and want to reduce the system footprint. Is this all I need to do, or are there other components I would need to add to get the second USB port to work? Its not possible I am afraid. 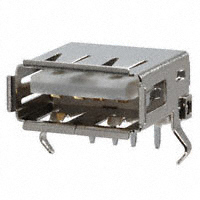 The model A is missing the LAN/USB chip marked in the image. The BCM has 1 USB port, which on the Model B is connected to the LAN/USB Chip. This chip gives extra 2 USB ports that are connected via the PCB routes to the extra pins you wish to use. The other one is connected to the built in LAN interface (inside the IC), so in total 4. The Model A lacks this chip, and uses an alternative PCB route that is only connected to the one connector. The other one goes no where. Alterantivly you can get your own IC and hack the Pi to have 7 ports (1 of which is connected to the existing port) using a Maxim 4999 IC. But soldering to this IC by hand is almost impossible by home DIY. 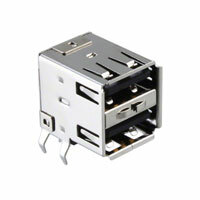 Another way would be to buy a mini USB hub, take it apart and attach it the Pi. Using a USB cable that goes into the HUB and then you get 4 more ports. But you may as well just use the HUB in its original state. It's not all you need to do. In the 'B' those two USB connectors are wired to the ports on that hub, and the 'inboard' side of the hub is wired to the single USB port on the Broadcom SOC. 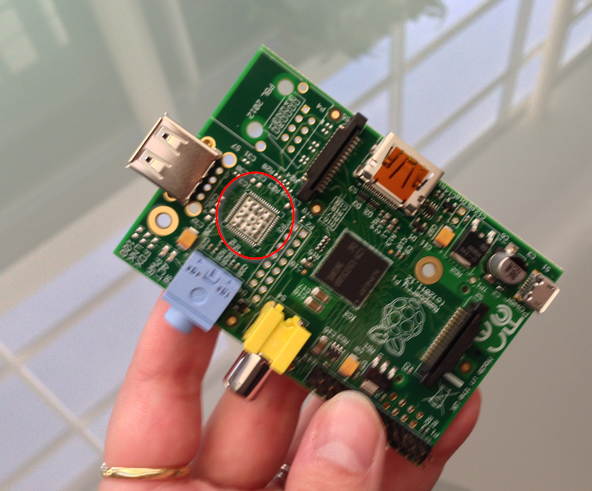 In the 'A' R-Pi, this chip is absent, and the single USB connector is wired directly to the Broadcom chip. 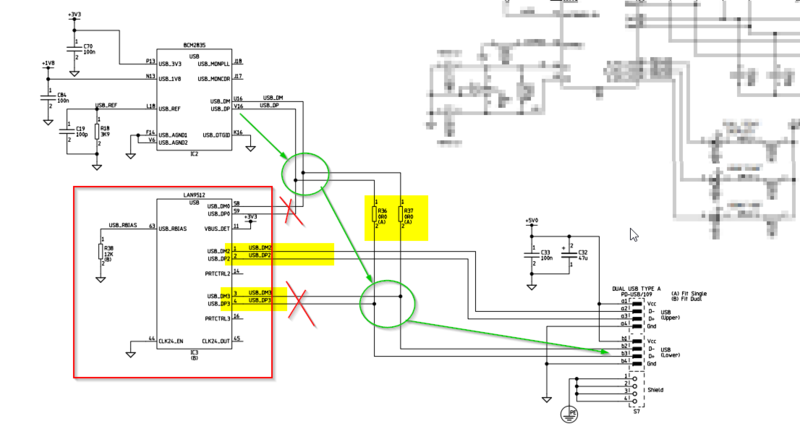 Sorry to be short on details - more info can be found on the R-Pi schematic - but the bottom line is it's probably not worth the hassle (and is definitely more than just adding a double connector). From looking at the board, the pins to solder a two port are not there, there is only one set of four pins instead of the 8 required for the two port, so it is not possible. Edit -> Looked again, it should be possible, but there may be unexplainable issues. Sorry, missed the thru-holes at the edge. Not the answer you're looking for? Browse other questions tagged usb hardware mods or ask your own question. Can the Pi Zero act as an USB peripheral device?